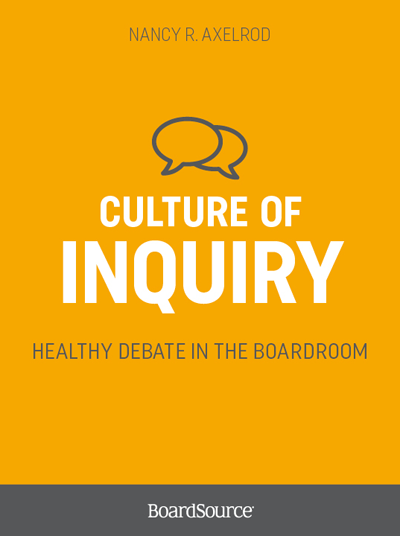 Discover how to engage and energize board members in a healthy debate in the boardroom and make better decisions. 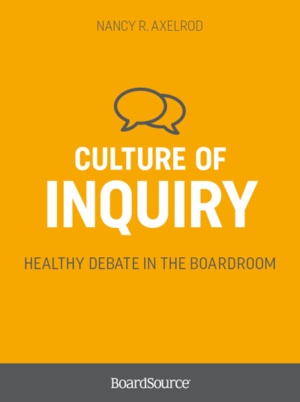 In this book, we explain how to create a culture of inquiry within the boardroom — one marked by mutual respect and constructive debate that leads to sound and shared decision making. 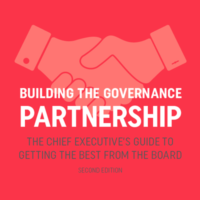 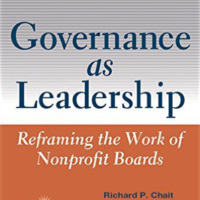 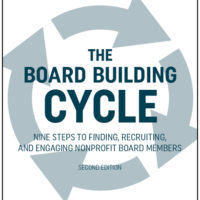 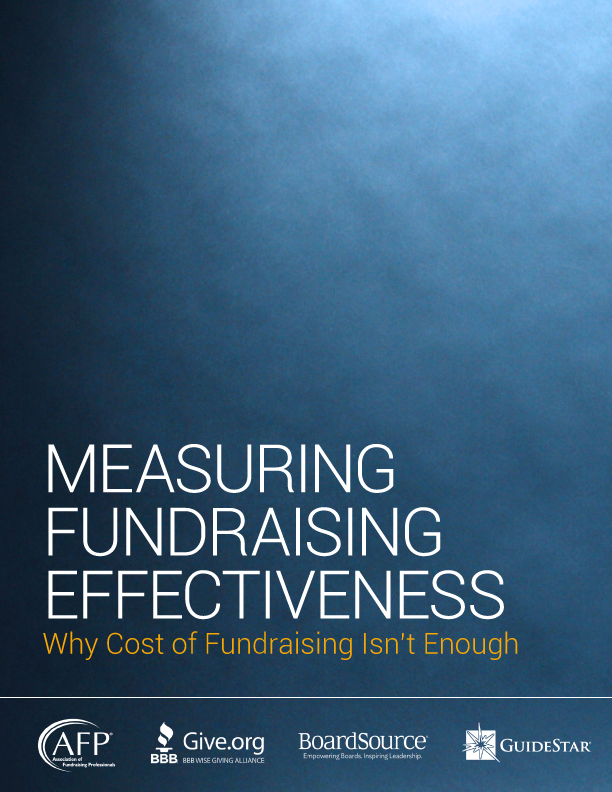 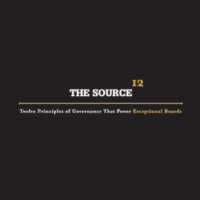 We detail how to develop an environment where board members solicit, acknowledge, and respectfully listen to different points of view; where they seek more information, question assumptions, and challenge conclusions so that they may advocate for solutions based on analysis; and where they are able to voice their individual concerns before reaching a collective decision, which, once made, is supported by the entire board. 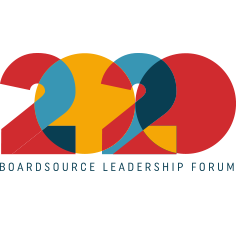 We include tools for creating an environment of trust, for cultivating teamwork, for stimulating dialogue, and for sharing information.